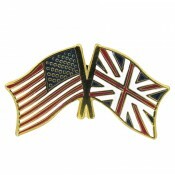 American - British Flag Lapel Pin USA-UK Lapel Pin The USA flag/ UK flag lapel pin is a great way to show your support for both USA and UK. Our pins cost less than our competitors, but are equal or higher quality. 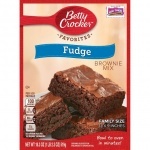 We import directly from the States and pass the savings on to you! This USA flag/ UK flag lapel pin has an all gold metal lacquered design with a metal clutch pin. Baked on enamel finish. Size approx 3/4" x 1/2".